Yayaka is an intriguing character. Her story isn’t unique, but her presentation throughout the series leads to some of the most compelling scenes in all of Flip Flappers. She straddles two worlds and is torn in opposite directions. She’s an odd woman out to Cocona and Papika’s burgeoning relationship but also a key part of their primary trio. She is a necessary catalyst in their Episode 12 reconciliation but in reuniting the two, sidelines herself in the process. At the end of the series, all Yayaka can do is cheer them on, physically restrained by Cocona’s pet rabbit, Uexküll. 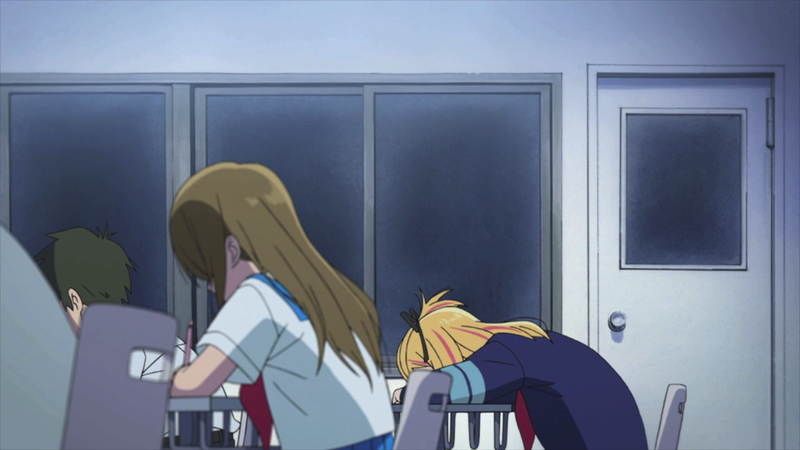 All three characters in Flip Flappers‘ main trio are introduced in the series’ first cold open — Cocona, diligently taking an exam, Papika making a break for it and seeking out her next partner on her own, and Yayaka sleeping through the same exam that Cocona is dutifully completing. Not only does Yayaka sport the trademark brightly-colored hair that designates her as an important character in this anime series, but she also stands out by sleeping through her test. The next time we see her, she’s in the opening sequence, standing alone in the rain before blowing up a mass of chemical plants behind a chain-link fence. 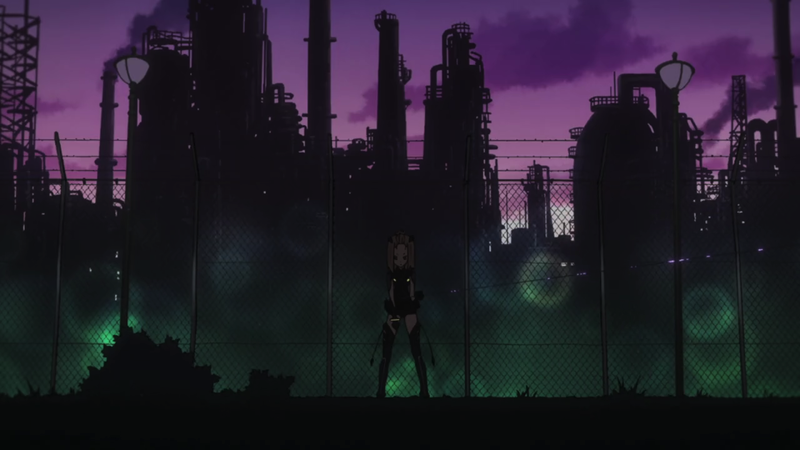 A small aside — this isn’t the first recent anime to use chemical plants as scenery, the first Kizumonogatari film used them as a delivery system for Meme Oshino, a metaphor for recent chemical changes in Koyomi Araragi’s body due to both adolescence and becoming a a vampire. In Flip Flappers they could mean similar for Yayaka — minus the vampire part. 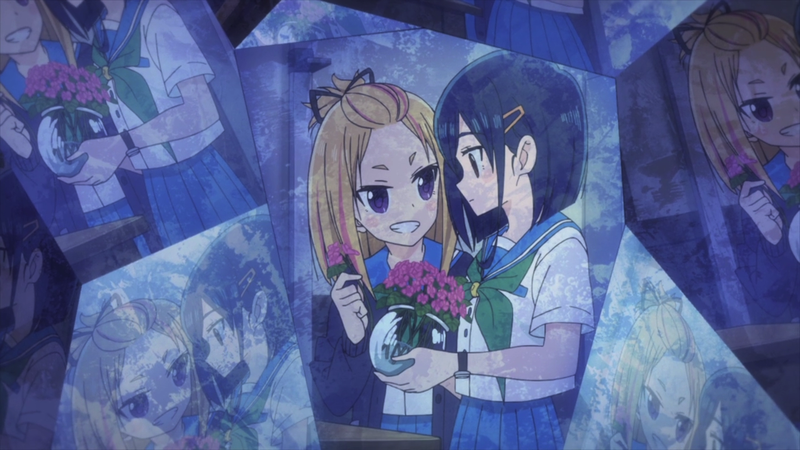 While the series focuses on Cocona’s coming-of-age through her visits to Pure Illusion, Yayaka is in the background, bumbling her way though her own maturation and adolescence. Yayaka is not a subtle person. 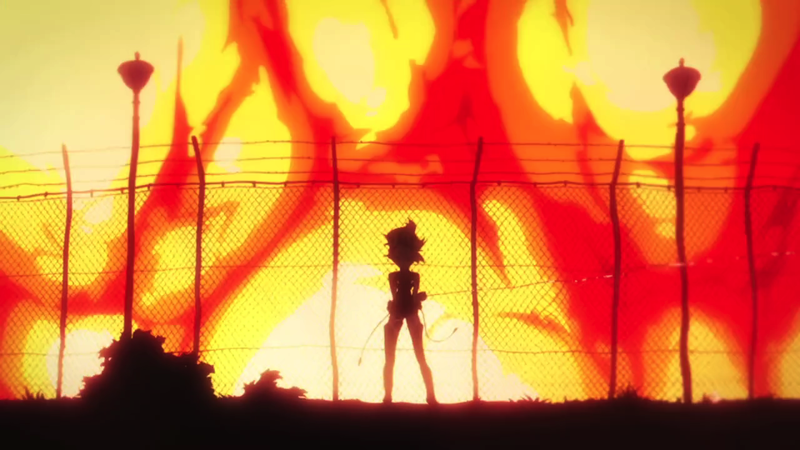 She immediately blows up the chemical plants in the opening sequence. She blusters her way forward, even if she’s uncertain or confused. She admits that she gave herself to Asclepius to bring about a world where no one would get hurt, and where she wouldn’t have to worry about making decisions at all. Unlike Cocona who has trouble making the most minute decisions because she’s afraid of making the wrong choice, Yayaka chooses immediately, even if that choice is spurred by a burst of emotion. Each choice she makes reflects a duality within Yayaka herself — she wants to be seen as one way, but internally often feels differently. Her exterior is tough. Her interior is empathetic and kind. It’s fitting that Yayaka’s Pure Illusion world is one fraught with overt subtext — the Class S yuri boarding school that resets at midnight — providing an excellent backdrop for the multiple facets of Yayaka’s personality. Although Yayaka makes choices, she only buys into most of them on the surface, going as far as she can without actually addressing her true feelings. Yayaka is the first person that Cocona and Papika meet in this world, greeting them with a “gokigenyou” — the established phrase that all other representations of demure, chaste, boarding school girls repeat in warped fashion. Yayaka is the template, they are the result of her repressed emotional state. In this world, Yayaka is again able to play the role of cool, experienced sister. Rather than being upfront with her feelings towards Cocona, the setting allows her to take charge without repercussions. She goads Cocona, teases her about getting hot and bothered, before revealing the secret of the time loop. Despite being at odds with each other, Yayaka still helps Cocona along. On the surface, she remains bound to her cause. Beneath, she cares deeply for Cocona and will do anything to help her. This same world is used to examine Cocona’s feelings towards Papika, her own adolescence, and her sexuality. Although the world is Yayaka’s through and through, Cocona experiences it in her own fashion. Even Cocona’s mother Mimi is present in this episode — a young woman who was never able to live her life with any sort of freedom or choice. Every world of Pure Illusion is as much Cocona and Mimi as it is the initial owner or creator. As an audience, we experience these worlds through Cocona. Mimi is present in all of them, as the amorphous that allow their existence are from her own shattered psyche. 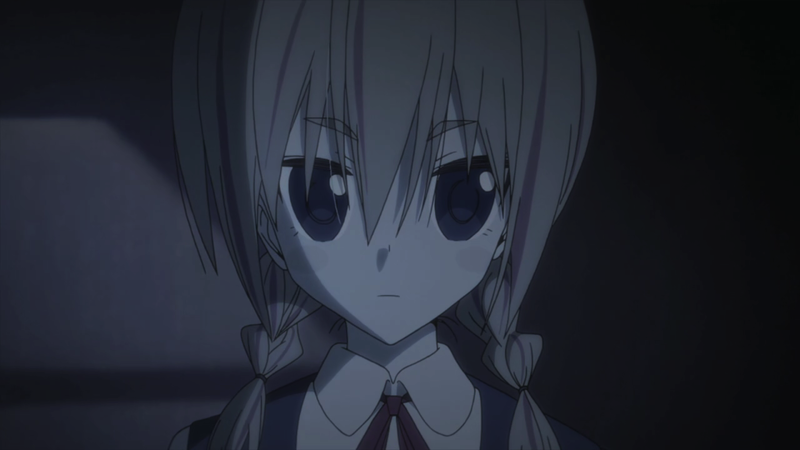 We are privy to another look into Yayaka’s mind during the amorphous twins’ Pure Illusion world in Episode 9. This stark and bleak place has two miniature settings within it — an ice palace with various facets reflecting Yayaka’s relationship with Cocona, and Cocona’s insular tearoom. 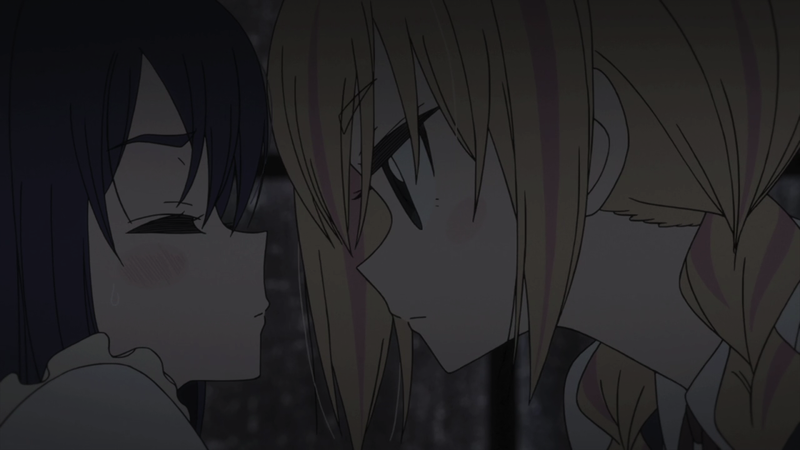 We learn how Yayaka first met Cocona, and how her feelings quickly developed into friendship and love despite the fact that Yayaka was initially sent to monitor Cocona for Asclepius’ cause. 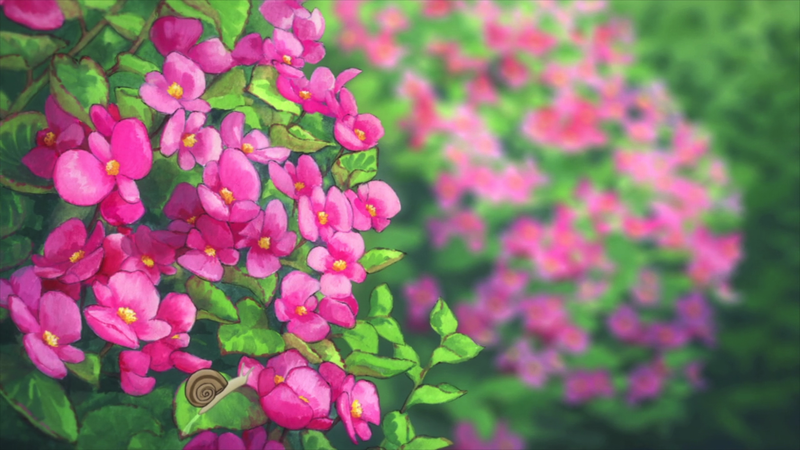 Begonias are Yayaka’s flower throughout the series, indicating dark, preoccupied thoughts and warnings of caution as well as finalizing an alliance or friendship. Even her flower has multiple, conflicting meanings. Yayaka is unable to be truly honest with herself until the final few episodes when she recognizes the strength of Papika’s feelings for Cocona. She pulls Papika out of her rut, essentially giving their relationship her blessing despite the fact that it means that Cocona and Papika have stronger feelings for each other than Cocona ever did for Yayaka. When added to the pair, Yayaka creates a trio. Her colors cement both the subtractive and additive color primaries when all three girls are together. However, even here, Yayaka is noticeably separated. She is sidelined in the final battle while Cocona and Papika receive matching outfits that resemble wedding dresses. Even while transformed alongside the two, Yayaka’s outfit is built to stand alone, while Cocona and Papika are two halves of a matching pair. Yayaka was a fairly interesting character. It would have been nice sometimes to have spent more time with her than with Cocona and Papika. But as you have said, she’s always kind of sidelined and that is particularly noted at the end when she’s not part of that last transformation or fight. Yayaka is (and you used the perfect word) straddled in most aspects of her life. 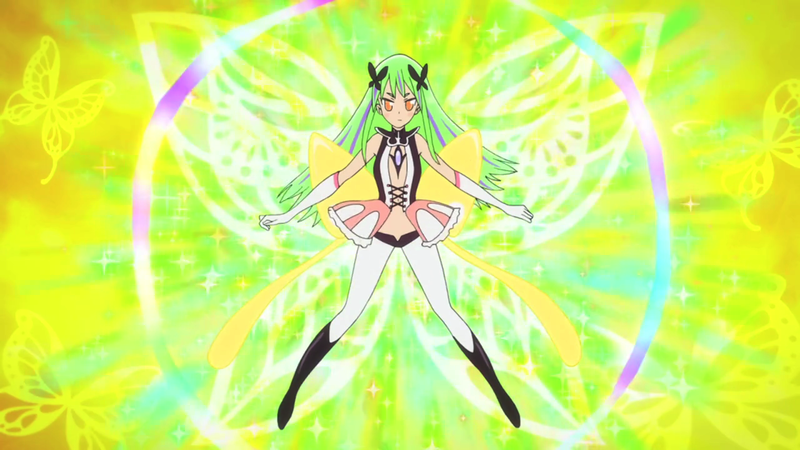 Flip Flappers also shows us Yayaka’s journey into accepting herself; and it leads her to accept, reluctantly, that she can be wrong and that many choices she made were wrong; but, as you say exactly, she makes the choices, be they wrong or right, while Cocona is stranded and gets carried along with the current, which simply means defaulting to an option, maybe not the one she wanted if she had actively decided. I can relate to that indeed. Pingback: Index of Flip Flappers Reviews and Articles – Flip Flapping!